Stand aside Kyogre and Xerneas! There’s a new legendary duo on top, and it’s comprised of your version opposites. In VGC 2019’s Sun Series, all of the hype was around the infamous Kyogre/Xerneas archetype that dominated the tournament circuit ever since its breakout win at the Frankfurt Regional Championships. In the transition to Moon Series however, a new team has taken the spotlight, and its restricted pair is Groudon and Yveltal. This team initially gained mainstream attention when Raghav Malaviya piloted it to win the Anaheim Regional Championships back in December. During this time, the VGC 2019 format was still in Sun Series, but it appears as though the team has had quite the smooth transition over to Moon Series. The team has already seen major tournament success as Alberto Ríos scored a win at the Panama Special Event with player Samuel Jurado placing in the Top 8 with it as well. Along with these early major finishes, the Groudon/Yveltal pairing has been popping up in several local tournament results and taking the metagame by absolute storm. This is a matchup that players should definitely be familiar with before their next event, so allow us to give you a short and sweet guide to this new dominant team. Despite it being called the “Sun Series”, we spent a lot of time in the rain. Groudon had its fair share of success but it always felt like it was playing second fiddle to Kyogre. This team has given new life to Groudon along with the inclusion of Z Crystals to give Groudon a mighty Tectonic Rage. But usually the Groudon on these teams like to go a bit slower and bulkier. While Groundium Z and full-on offense is not a bad option, players who use this team typically opt for a more defensive Groudon with Swords Dance and a pinch berry to increase their longevity and overall attack power. This choice may seem odd considering there are no Tailwind users on the team, but Stakataka can set-up Trick Room which can work in a slower Groudon’s favor. Plus, having a slower Groudon means that you keep the weather advantage since Groudon’s Drought will always activate after an opposing Kyogre’s Drizzle if the Kyogre is faster. Could Moon Series be the time for Groudon? If this team keeps winning, things are looking that way at the moment. Yveltal shares a similar history to Groudon as it seems as though it always ended up right behind Xerneas. Well, along with Groudon, Yveltal is back and it looks to be better than ever. Yveltal is in a pretty good spot in the metagame right now, and it teaming up with Groudon seems like the perfect anti-meta restricted Pokemon combo. Like the Groudon on this squad, this Yveltal prefers bulk over straight offense too. Many players believe that the Assault Vest is the best item for Yveltal as it not only adds to its Special Defense but also allows it to utilize its diverse pool of Dark-type moves (and, of course, its signature move Oblivion Wing). Yveltal can support with attacks like Snarl, but also deal out some damage with Foul Play, Oblivion Wing and Sucker Punch with all of the Dark-type moves being boosted in power by Yveltal’s ability Dark Aura. While Yveltal will likely remain in Xerneas’ shadow for the rest of the 2019 format, it has certainly found a place with this team. Yveltal’s metagame matchup is the best it has ever been up to this point in the 2019 season and its about time it got some respect. Tapu Koko has been increasing in popularity recently, not only because of this team, but for just how useful and powerful it can be. Before the transition to Moon Series, the popular way to use Tapu Koko on this team was all-out offense with Choice Specs. 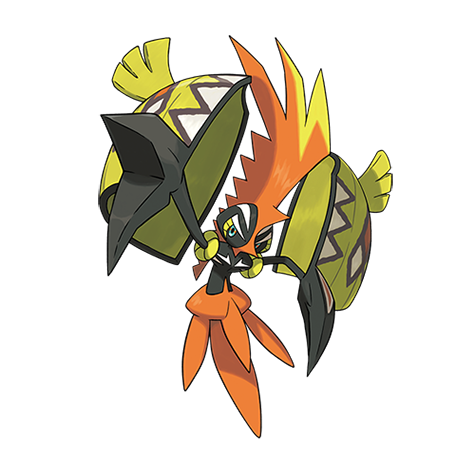 Now, with Z Moves in the metagame, Tapu Koko has been the popular choice for this team’s Z Move user with the insanely powerful Electric Terrain-boosted Gigavolt Havoc. This also allows Tapu Koko to extend its versatility and pivot more freely with Volt Switch since it won’t be locked into a single move. Of course, Choice Specs can still work if one wishes to place their Z Move elsewhere on the team. Honestly, what more can be said about Incineroar? Its got Fake Out, a sun-boosted Flare Blitz, Knock Off, and a very versatile fourth move slot that include yet another pivot option in U-Turn. There is some unique synergy on this team for Incineroar since both of its same-type-attacking moves both get boosted. The sun provided by Groudon powers up Flare Blitz while Yveltal’s Dark Aura buffs Incineroar’s Knock Off. 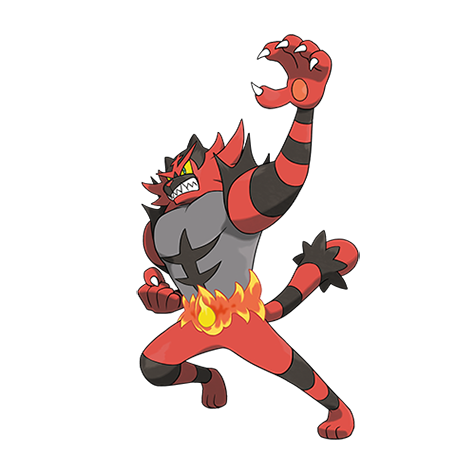 But in the end, its just Incineroar. One of the best VGC Pokemon period. It’s pretty much a staple at this point. A valuable member for any Groudon team is the (somewhat) trusty Venusaur. Venusaur abuses the sunlight by having its speed doubled thanks to its Chlorophyll ability. With its newfound speed, Venusaur can get off some fast, strong attacks like Grass Knot and Sludge Bomb which excellently cover some of the biggest and baddest Pokemon in the VGC 2019 format. Then there’s… Sleep Powder. A move that can put you in an amazing position… as long as it actually hits. 75% accuracy isn’t the worst, but it can feel totally unreliable at times. Not only does Venusaur make great use of the sun, but it also helps a lot with this team’s Kyogre and Xerneas matchups. Venusaur can hit both of these Pokemon pretty hard and even put them to sleep (as long as Sleep Powder connects that is). Recently, we’ve seen this slot adapted into a Ludicolo by Panama Special Event Champion, Alberto Rios. This suggests that this team slot can work with another weather-abusing Pokemon that happens to be a Grass-type and has a good matchup against Kyogre. Finally we have Stakataka, a Pokemon that was absurdly hyped up at the beginning of Sun Series, but gradually fell off as the metagame developed. That doesn’t mean Stakataka is bad by any means. It’s still one of the best Xerneas answers in the metagame and can turn into one of the best sweepers in the game under Trick Room. Stakataka’s main role on this team is to obliterate opposing Xerneas with Gyro Ball, but to also set-up and work under Trick Room. Usually, teams like to have Amoonguss in this slot for a Pokemon meant to combat opposing Trick Room, but Stakataka works here since this team has already got its Grass-type. Speaking of Amoonguss, Stakataka like to carry Safety Goggles in order to better deal with Amoonguss’ Rage Powder and Spore shenanigans, but there are plenty of other good item choices out there. Maybe give Stakataka the Z Crystal in order to snag a free Beast Boost so that this Pokemon can turn into a real threat once its able to set Trick Room. So there’s a run-down of the team currently dominating Pokemon VGC right now. Even though Kyogre and Xerneas look to remain supreme, they face stiff competition from this team and their respective version counterparts. Groudon and Yveltal are showing similar signs of success to that of Kyogre and Xerneas once that team took over, and their streak of results doesn’t seem to be slowing down. How many more tournaments will this team win or perform well at? Are there already counter teams in preparation for the format’s next big tournament in Dallas, Texas this weekend? I guess we’ll just have to wait and find out.